Kendall County relies solely on groundwater resources at this time and doesn't utlize any surface water supplies for drinking water. Deep and shallow wells tap groundwater supplies, called aquifers, throughout the county. Due to our dependence on groundwater this resource is precious to the region and must be protected for current and future generations. The single greatest threat to the groundwater supply is abandoned wells. An abandoned well is classified as a well that no longer supplies water, or a well that is in such a state of disrepair that the well has the potential for transmitting contaminants into an aquifer or otherwise threatens public health or safety. Abandoned wells provide a direct route for contaminants to reach groundwater. Abandoned wells may be sealed by a state licensed water well driller or by the property owner under permit and supervision of the health department. The packet below includes informational forms on cost programs and reduced cost sealing products. 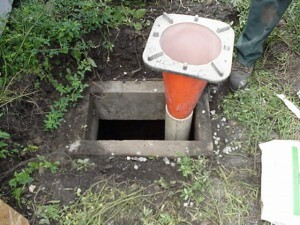 These program are of great benefit to homeowners trying to seal their own wells while keeping costs as low as possible. The Northeastern Illinois Regional Groundwater Protection Planning Committee (NIRGPPC) is a local groundwater protection committee that offers reduced cost water well sealing materials. The Kendall County Soil and Water Conservation District may offer technical assistance and a cost-share program for water well sealing.